If I get a chance I'll press on with doing the rest of this over the weekend. If you can, many thanks. Two slight notes - I've swapped a "which" for a "that" in the last post to be more grammatical, and should you think of anywhere smart to include "Everything you have been told is a lie" (possibly under whichever image becomes the front "page", but I think it's good to use "Battle for the Emperor's Soul as the proper tagline"), I wouldn't mind getting it in there somewhere. I've dropped a message to each of those whose photos have been used to get their consent (excepting those that had already given it), but other than that I think we're good to go. It seems there is a distinct lack of community-created staged hero shots (with decent photography), so these are just the best of what an afternoon's searching provided. Regarding the picture problem, I've been taking a somewhat proactive approach, and I earlier snagged permission from Jakob Rune Nielsen to use photos of his models (my photos, but I felt it was polite to ask). *However, I've just noticed that there's another on eBay... I may have to have that! This is the (subtly) watermarked one from my Flickr, but I've still got even the original RAW file, so it can be tweaked to the heart's content. (It is however a bit of a cheat, and you can see an editing goof along the left and top edges of the image - this is two shots stitched into one to improve the DoF). (I suspect I could do a lot better though if I gave it another shot, I did it more than five years ago...). Many thanks to Euan for sending through the files yesterday. However, I have run into a hiccup - on the first test print, I was unhappy with the quality of the front cover image; as it's not from an original file, it's only about 100 dpi and looks a bit crude close up. * I had to process the PDF through Photoshop anyway (our printer overdoes dark tones, which I correct software side using the Curves tool if I'm printing photos), so I used it as a crude desktop publishing substitute at the same time. I've run off ten copies for now (having a colour laser printer is an advantage at times, even if it is overly large), and at a pinch I've got four test copies from when I was checking printer settings, so we'll see how it goes. i found the original of the twin-scale picture if that's of use! No, that should be fine - I have much larger resolution of it than we had for the front cover image, but it's also much smaller on the print. They are actually quite swish, even just run off on a fairly standard office printer (proper printing on glossy paper would be very nice, but I can't arrange that at the moment). All credit to Euan, the result is all very visually appealing when it's in physical form (other than the difficulty with finding a good front cover), so hopefully we'll get a few people helping themselves. Anyway, I've doubled the print run to 20. First priority should still go to passers-by, but if there are any left at the end of the day (and I'll be pleasantly surprised if there aren't), the remainder may go to good homes, whether that's to people's clubs or just for themselves. I guess this is a fairly late commentary, but thanks to the various people who've helped out so far, because your efforts came together to make these pretty successful at the IGT. We will need a proper leaflet box in future, but enough of them left with passers-by for me to be content. With the event at the London Grand Tournament coming up, I need to run off more of these leaflets, and I'd like to polish it up before I do so. - The section talking about 28mm models names a number of OOP WHFB kits. This list needs to be updated, but given I'm mostly into older metal models, I'm looking for suggestions of a replacement list of kits. - Top notch "hero shots" of 28mm models or warbands, or equally good in-game pictures. The ones we used before are passable, but not great. (Although you can post examples in the comments, if I decide I like them, you'll need to send me high quality originals - Facebook's picture compression is far too poor to use for printing). 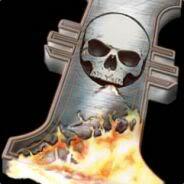 - I'm planning on adding the Inquisitorium FB group to the list of support links. If you have any other particularly good suggestions, feel free to make them. (But, again, the leaflet does need to be concise, so only absolute must links, and they need to cater to Inquisitor rather than just anything within a broader definition of "INQ28"). if you send me the new pics I can make all the changes to my original file. We can add Necromunda to the model ranges to steal from as well now. 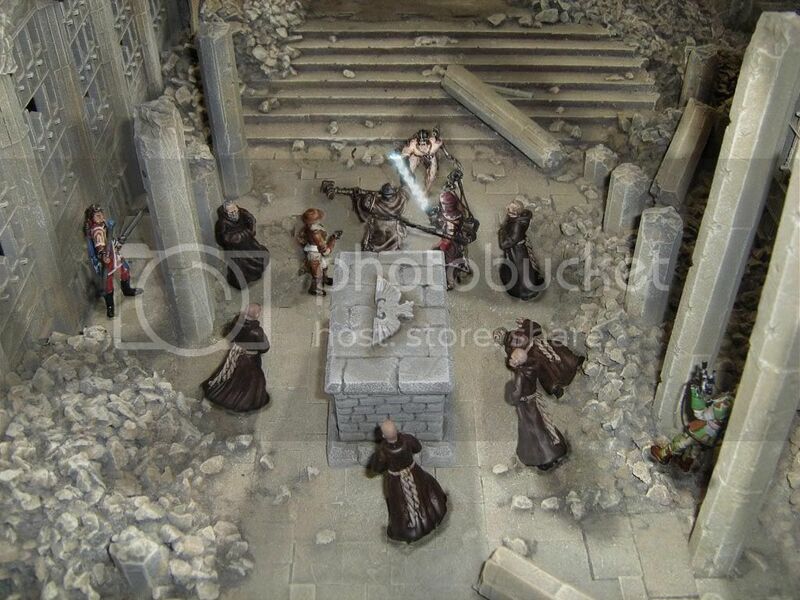 Actually RE: morheim, I would suggest the plastic sprues for various Forstgrave products (Frostgrave barbarians, cultists, and soldiers) as a fantastic alternative with lots of detail. I didn't get a whole heap of useful responses out of things like the Inquisitorium on Facebook (lots of likes, not many answers), so I've instead drafted up something a bit more generic for the modelling section. I did sort of want to spark a few ideas in people's heads, but something a bit more timeless will make it easier to justify ordering a slightly larger and more cost effective batch of leaflets. (Although, on that front, I do wonder if I should rephrase the mention of Blanchitsu. I don't necessarily know how much longer John may do that, for whatever reason). 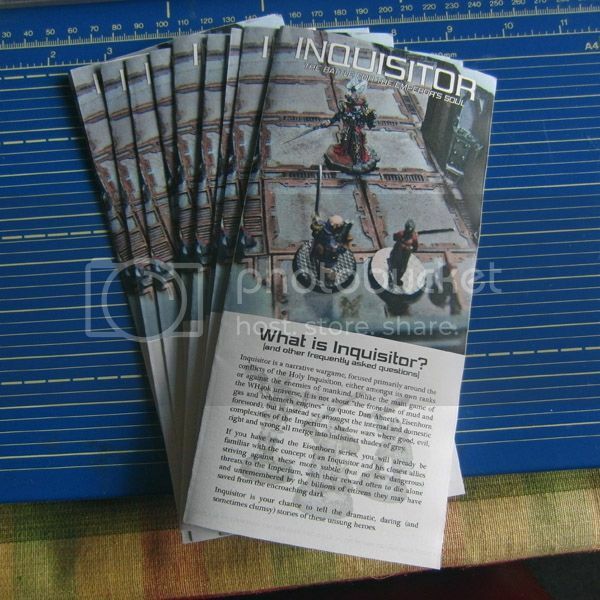 Inquisitor is a narrative wargame, focused primarily around the conflicts of the Holy Inquisition, either amongst its own ranks or against the enemies of mankind. Unlike the main game of the Warhammer 40,000 universe, it is not about "the front-line of mud and gas and behemoth engines" (to quote Dan Abnett's Eisenhorn foreword), but is instead set amongst the internal and domestic complexities of the Imperium - shadow wars where good, evil, right and wrong all merge into indistinct shades of grey. Inquisitor was originally produced in 54mm scale, shaped by the GW sculpting team's interest in doing a large scale range. This original range of (surprisingly versatile) multi-part models is now out of production, but the models can still often be found on trading groups and auction websites. 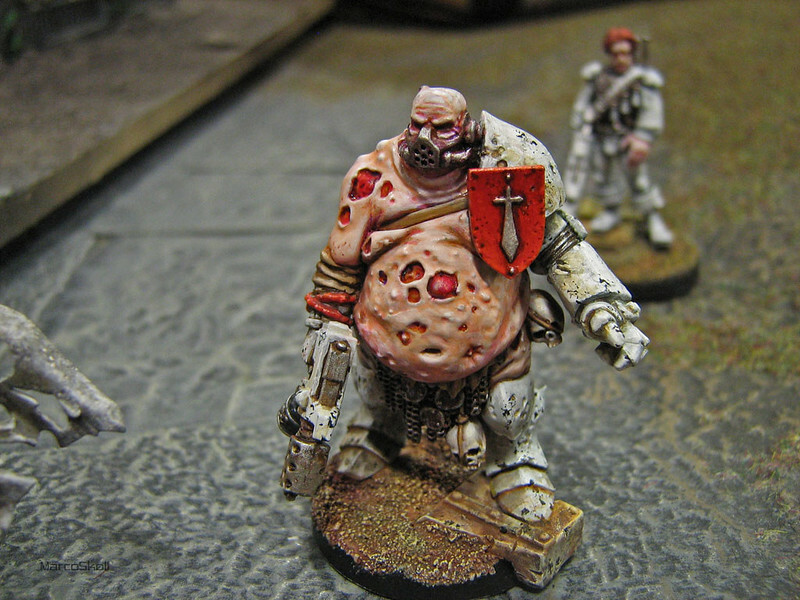 Larger 28mm miniatures (such as ogres or automatons) can also often be converted into characters such as 54mm Ratlings or servitors, and the exaggerated 'heroic' styling of the 28mm range means that many parts (generally weapons and equipment, but also occasionally other parts) are very suitable for the more realistic proportions of most 54mm miniatures. Kits from the Warhammer 40,000, Age of Sigmar, Necromunda and Forge World ranges can all be combined in more ways than we can begin to explain here - the only real limits are the modeller's skill and imagination. If you've followed Blanchitsu over the last few years, you've probably seen some fantastic examples of this kind of modelling. Either (or both!) scales represent opportunities to explore corners of the galaxy that the core Warhammer 40,000 game does not. 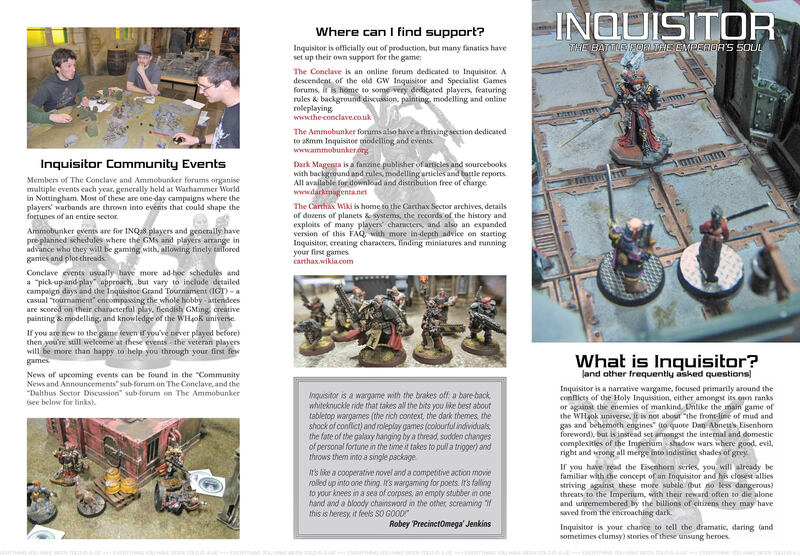 Inquisitor is uniquely described as a 'narrative wargame', because unlike many tabletop games where players field balanced 'armies' and each side is simply attempting to beat the other, the Inquisitor ethos is more around semi-competitive storytelling. Games are also generally small; each player will normally control one to four characters, with perhaps ten or twelve characters in total on the table (including any controlled by the GM). Members of the Inquisitor community organise multiple events each year, often held at Warhammer World in Nottingham. 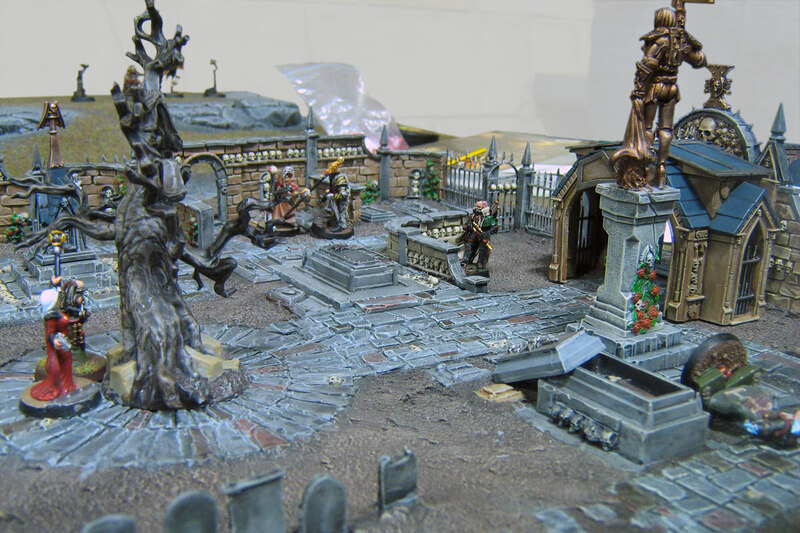 These events vary between sprawling narratives where dozens of players are thrown into events that could shape the fortunes of an entire sector, invitational events with finely tailored plot threads, and the ominously named Inquisitor Grand Tournament (or IGT) - a casual "tournament" encompassing the whole hobby, with attendees scored on their characterful play, fiendish GMing, creative miniatures, and knowledge of the WH40K universe. News of upcoming events can be found by joining/following the various websites and Facebook pages listed in the support section. Dark Magenta is a (free!) fanzine publisher of articles and sourcebooks, including background, rules, modelling articles and battle reports. The Carthax wiki is home to the Carthax Sector archives - an open project to document the setting and stories created by the Inquisitor community and its events. 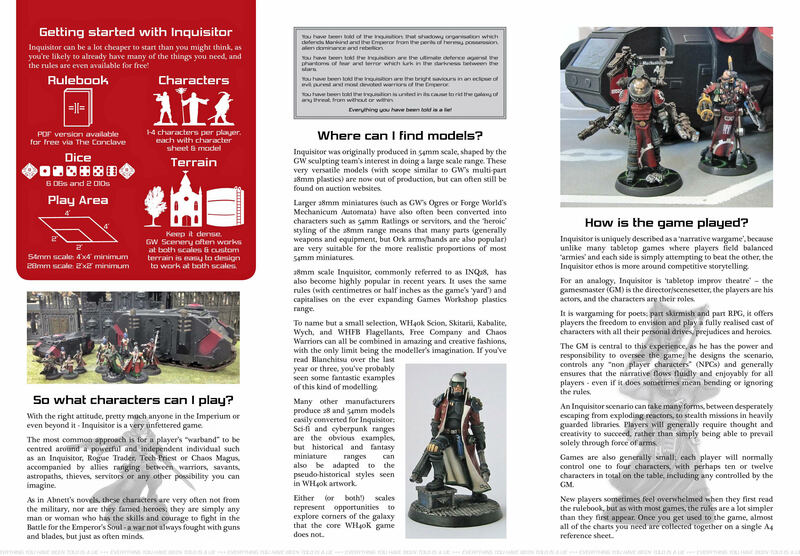 It also includes an expanded version of this FAQ, with more advice on starting, writing, playing and running Inquisitor. I see no need to change Euan's infographic. (I have got a couple more possible choices from my photo collection, but haven't got the time to sort them out this instant).